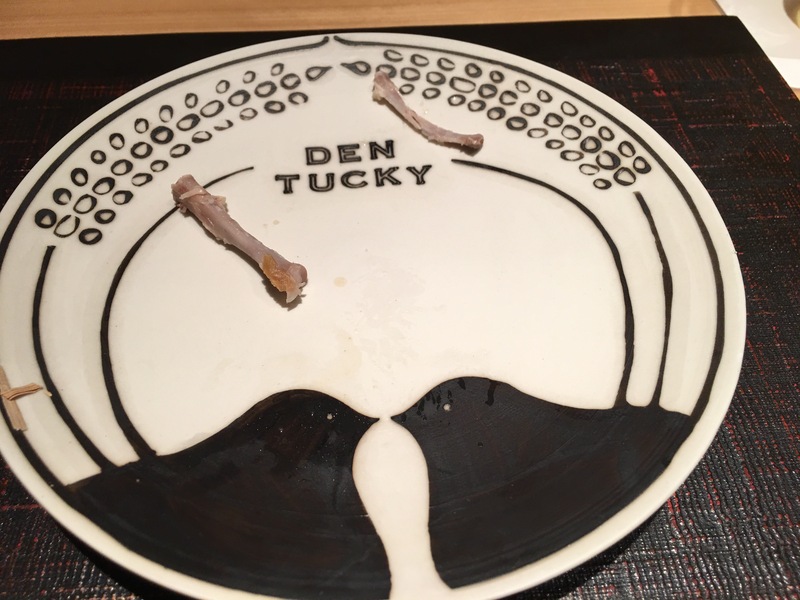 Ever since Den was named one of the top 50 restaurants in the world (and one or two Michelin stars depending on timing) it became an impossible reservation to come by. I tried Amex, the hotel, etc and was told they had a rigid policy of requiring guests to call directly. I had also read that they were so in demand that they rarely allow Gaijin if it was a first visit. But I was determined. 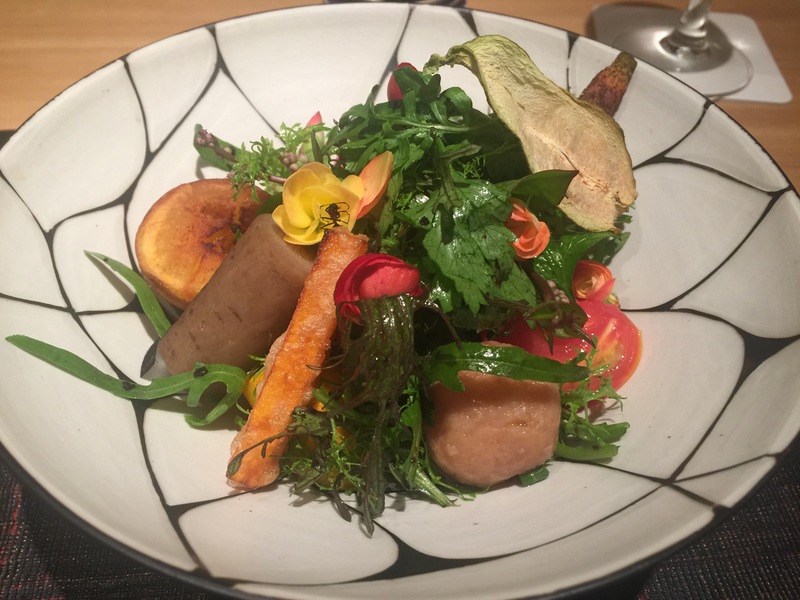 Everything I read about Chef Zaiyu Hasegawa, his restaurant, and his philosophy sounded like the perfect experience for me. 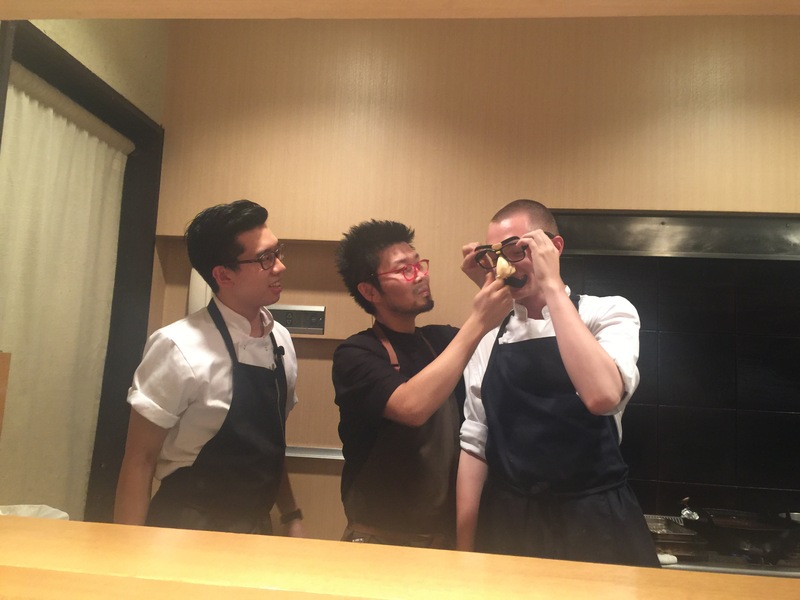 The young chef does not exactly embrace the typical approach one usually finds in Japan. 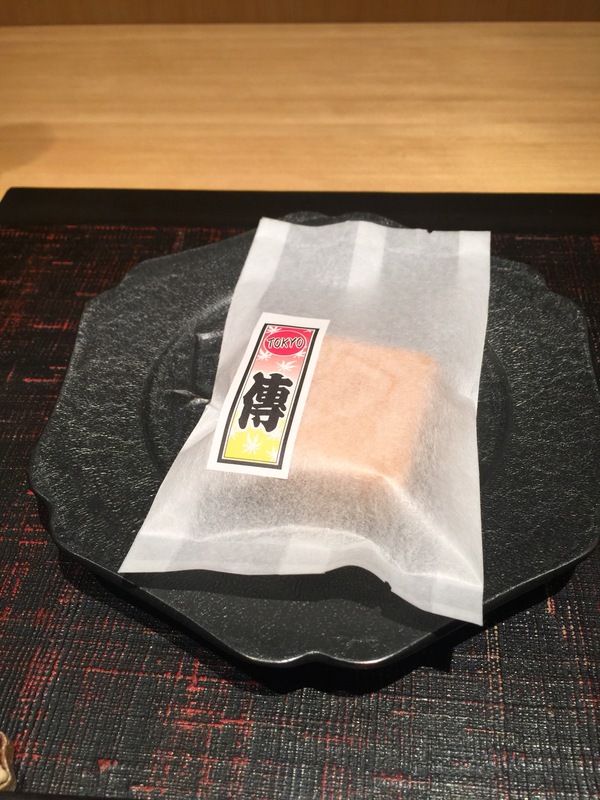 Not Kaiseki. 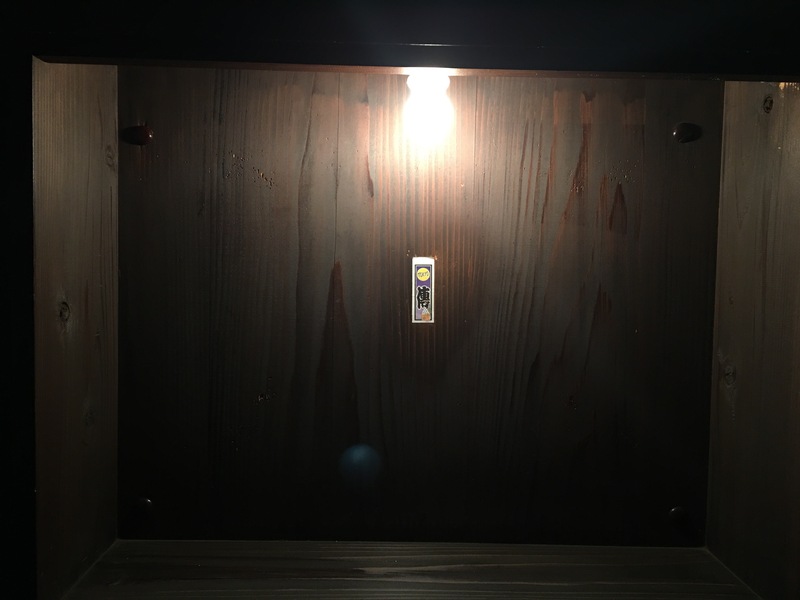 Not a Kappo. It is casual (no jacket required) but yet certainly fine dining. These are just some of the rules he breaks. 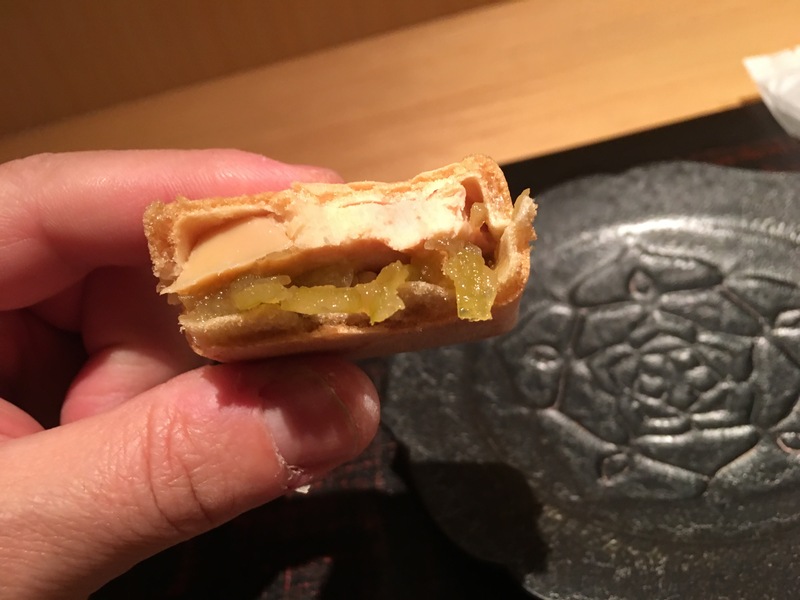 The food both formally honors Japanese ingredients and technique, yet still has a significant playful side. 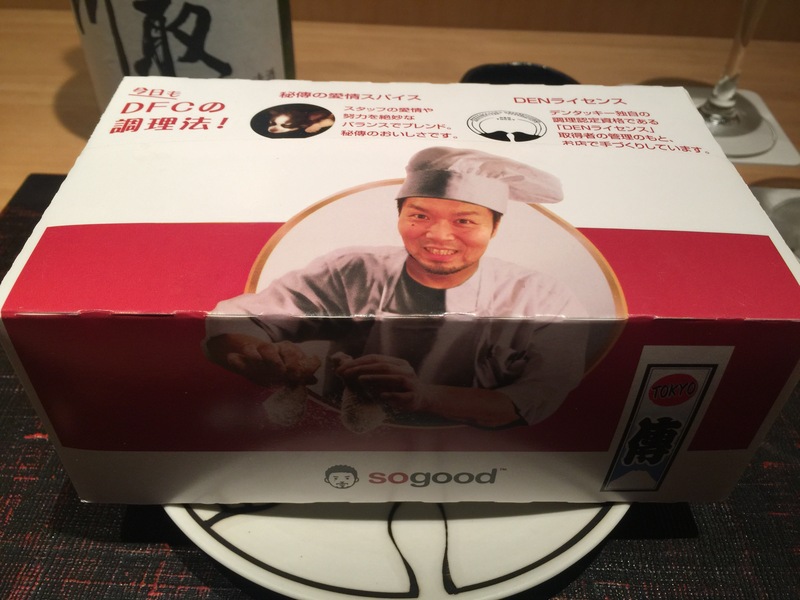 The service is Michelin in quality, and the food? Absolutely top notch. 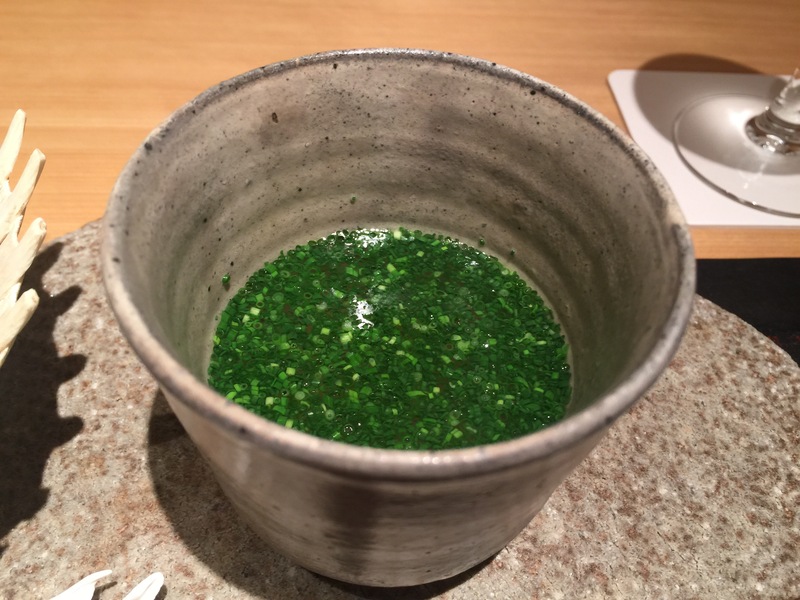 What it is not: molecular gastronomy, modern, or anything like that. 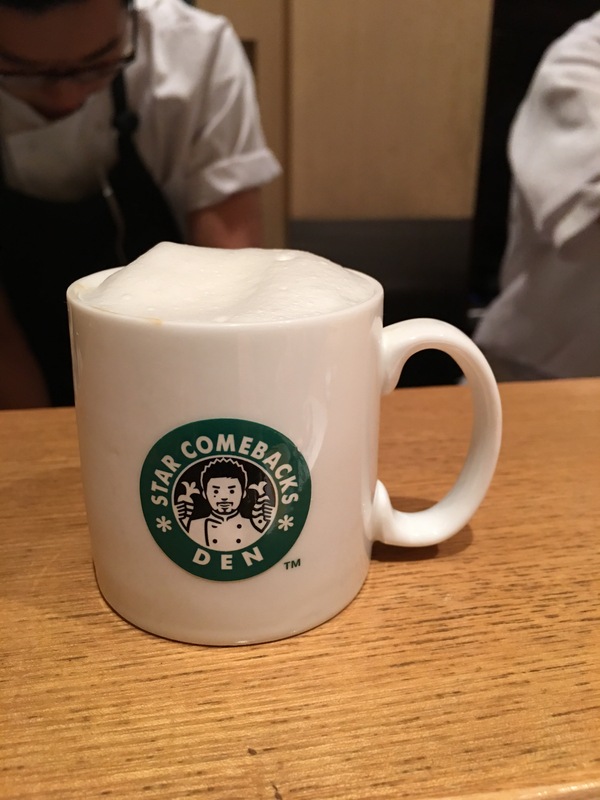 What it is: traditional ingredients and technique with an eye -and tongue- for clever interpretation and whimsy but with careful , balanced precision. 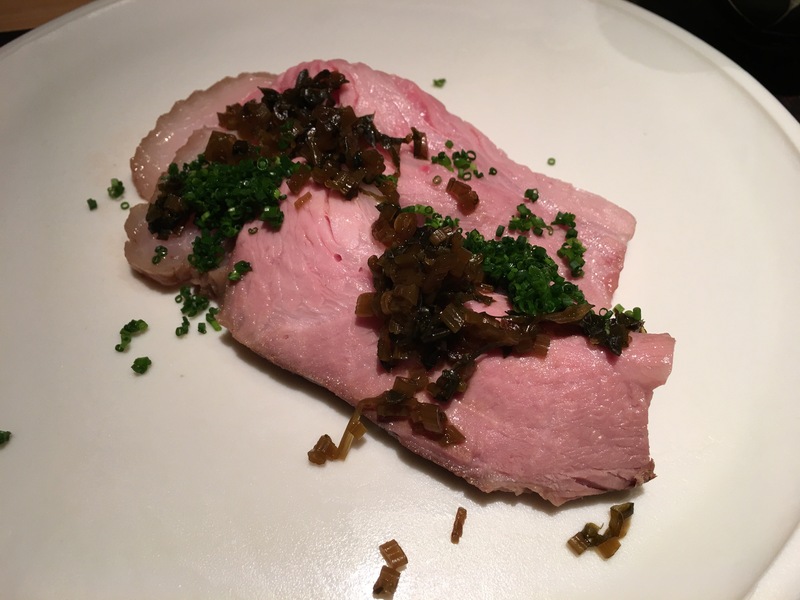 The closest experience I could compare this to would be Adria’s Tickets in Barcelona, but while this was equally as creative, it surpassed Tickets in the food was consistently extremely delicious and precise, not just cool and flavorful. They only seat 8, and he never had that many in the restaurant st one time while I was there on a sat night. 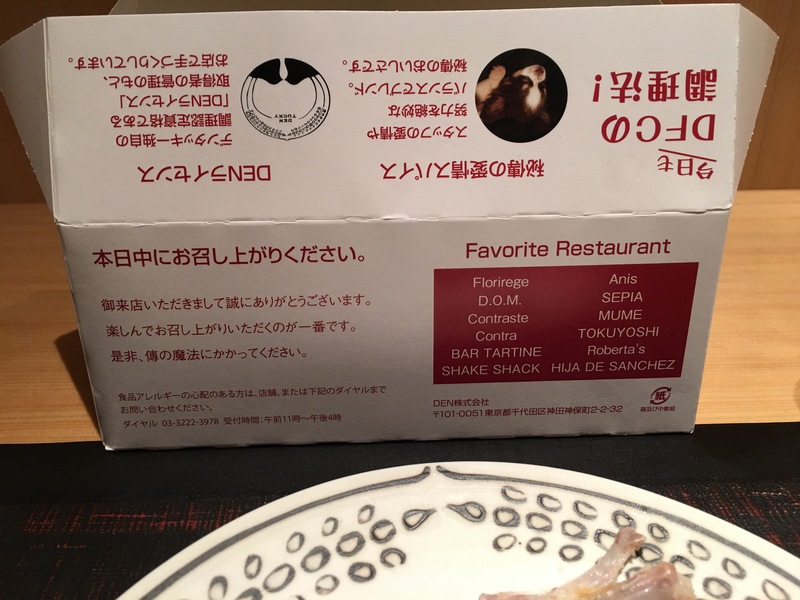 Service was personalized and he even integrated translations into English on some of the humorous elements of the dishes. I understand he will change the menu for repeat customers so that no one gets the same thing twice unless of course they request it. 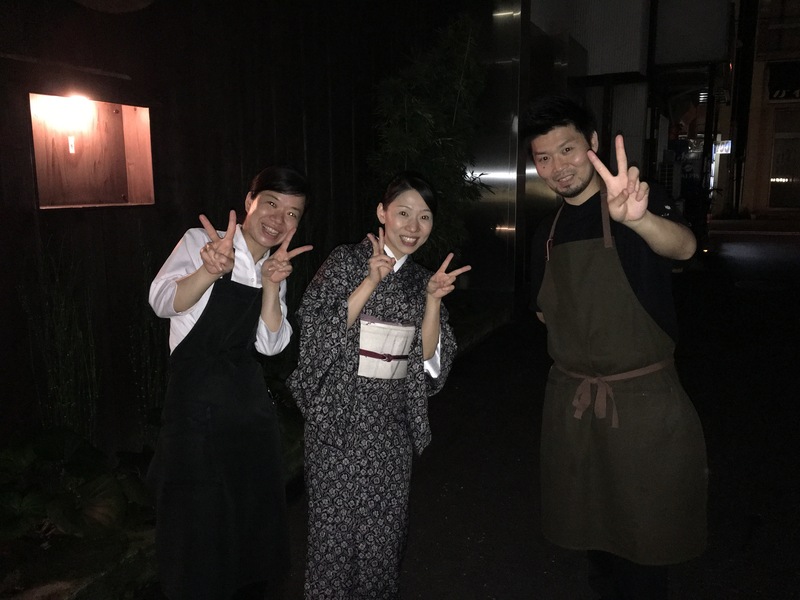 Noriko is his key front of the house person and she was extremely attentive and helpful throughout the entire meal. 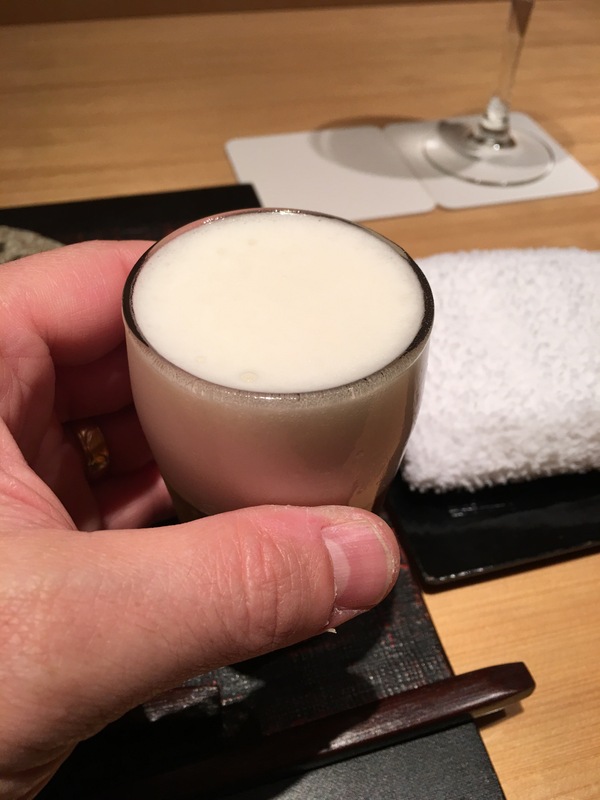 Private -labeled high quality Junmai Dai Ginjo Sake pairings were offered for each course. Beer and wine were also available. But I digress. Getting in requires me to rehearse my Nihongo so I could say all the right stuff at the right time. I passionately requested (begged?) to get in. 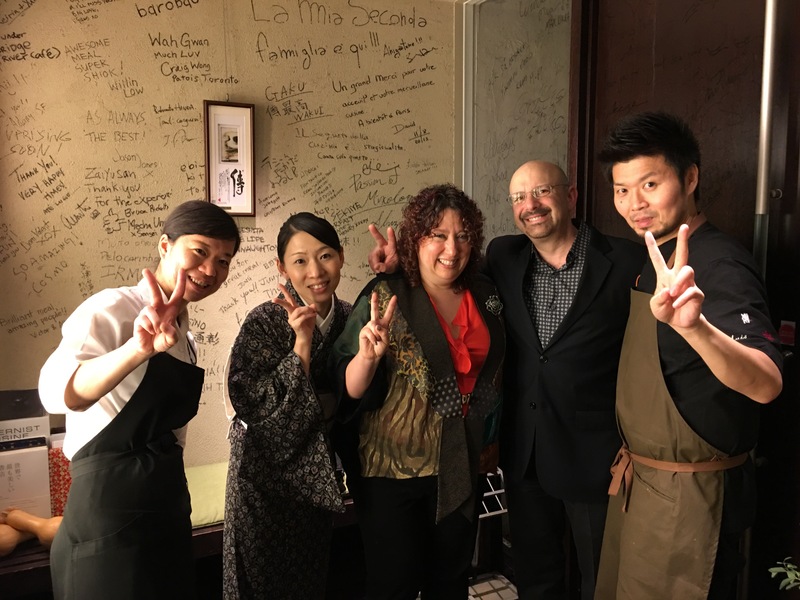 Thankfully, Noriko San agreed and we got to exchange some lovely and fun emails prior to our visit. 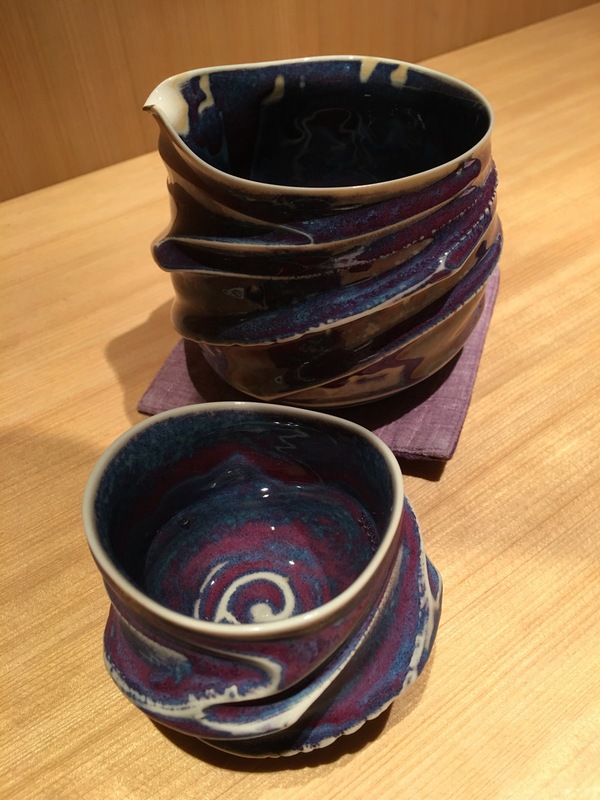 As you scroll through the photos you will note some amazing handcrafted pottery custom made for the restaurant. 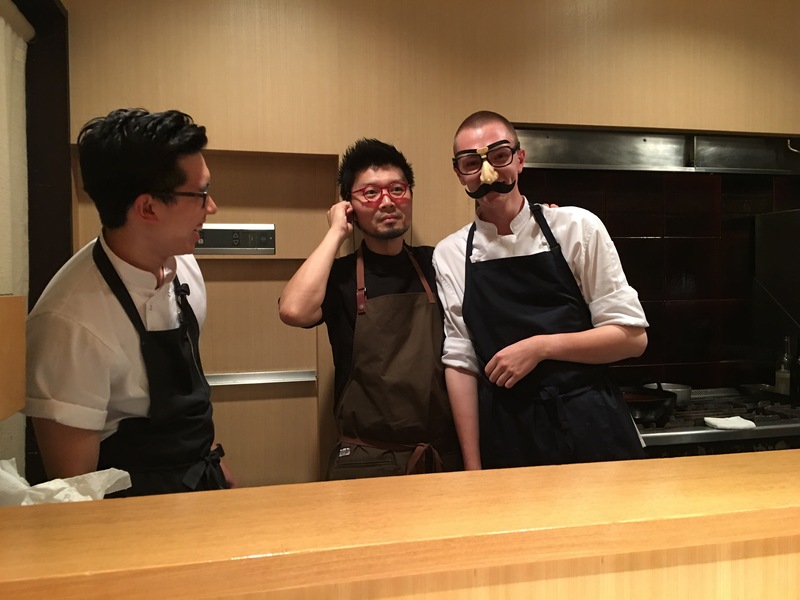 There are also some cute decorations and a few shots of the chef and his sous horsing around at the end of the three hour service. He had at least 6 people helping him with service, perhaps more. Many of them were from Australia working for him as interns. Everyone was young and energetic and fun. The first bit of whimsy was the signage. It is buried in a residential neighborhood with just a 2 inch sticker to mark their location. 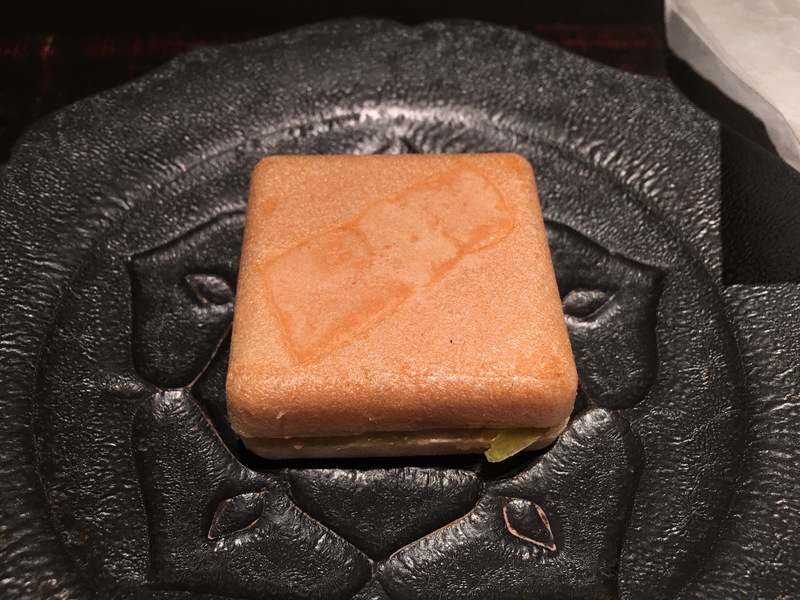 First Course – a play on a traditional japanese waffle sweet except this One is savory . 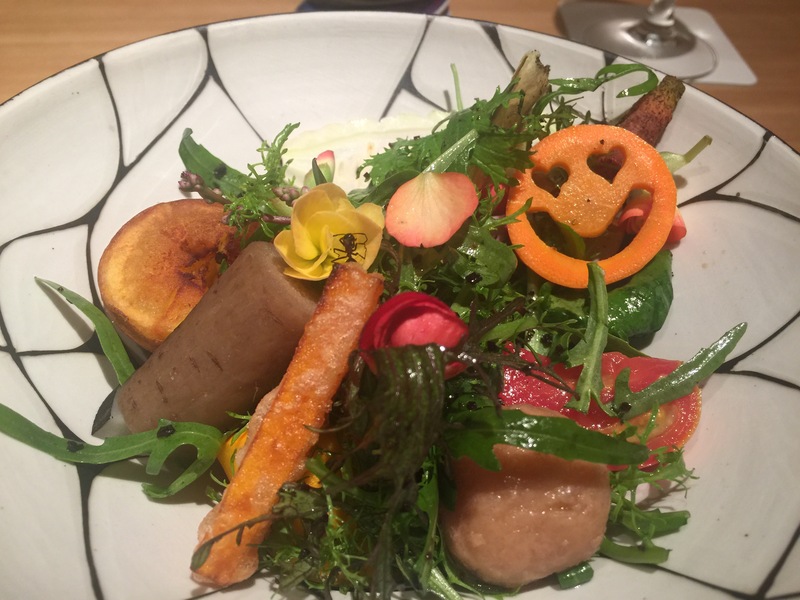 It contained foie gras and a “marmalade” that included onions , daikon and pear. 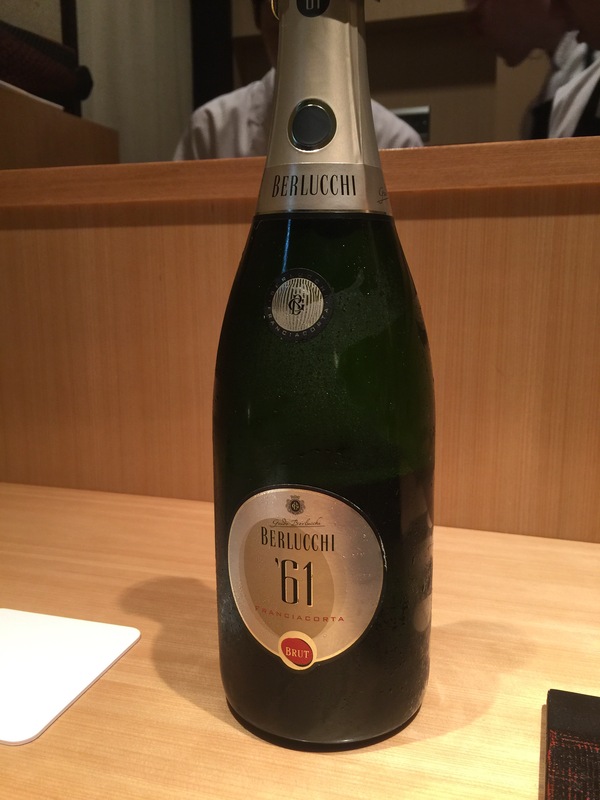 Wonderful balance of sweet and tart flavors and textures. The second course was suppon, or snapping turtle. Finally got to try this! 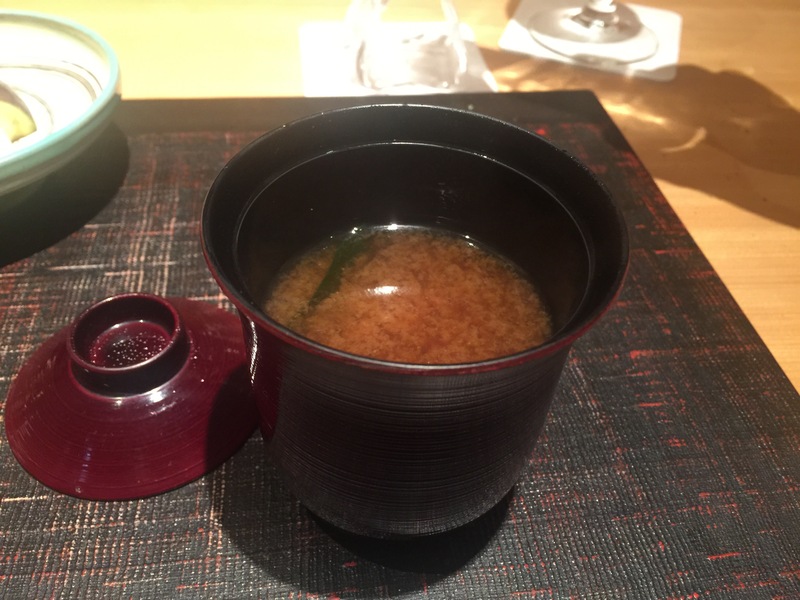 This was a lovely rich Consommé with incredible depth of flavor and no bitterness at all due to exceptional technique. The presentation was very amusing. It was not meant to shock, but in tradition Buddhist philosophy meant to remind people they are eating an animal so it can be properly honored. Still , the presentation was ironic as there was no sign of the meat in the broth. 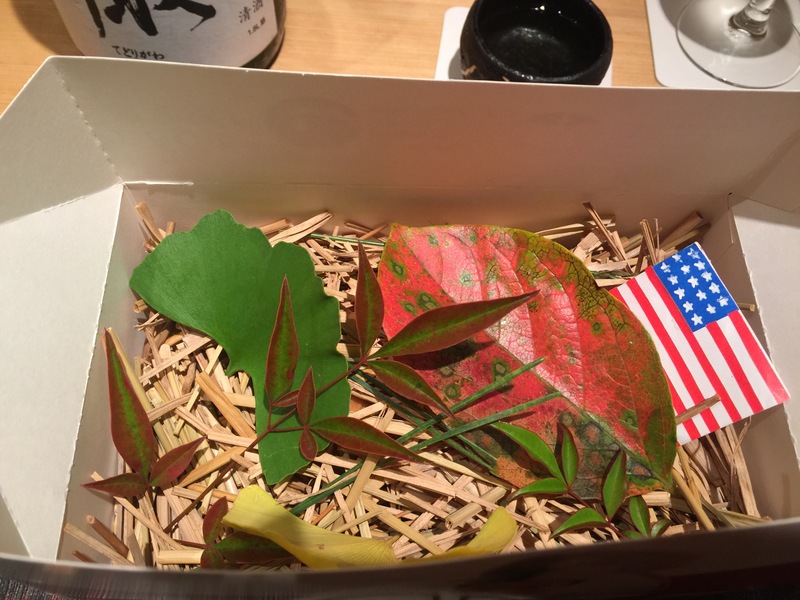 Third course: Den’s famous “Den fried chicken.” Whimsical box that contained something personal for every guest., in my case the American flag. 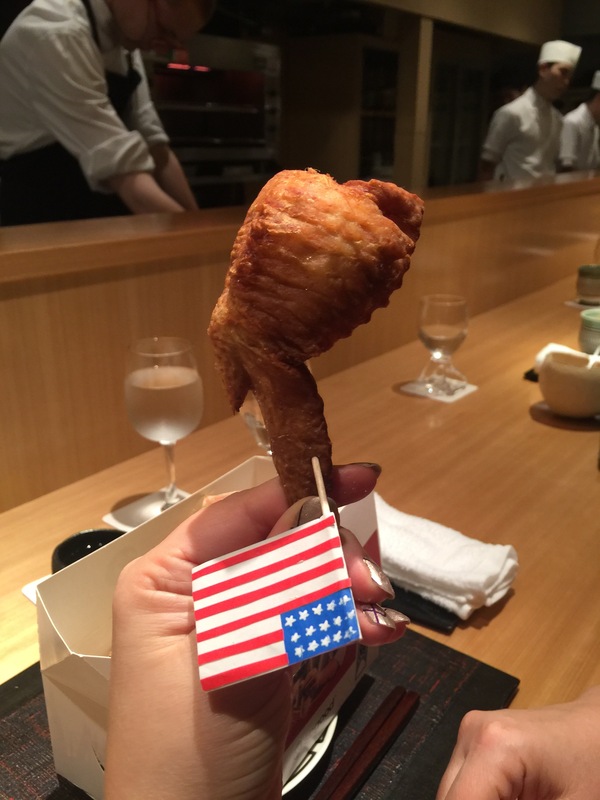 Chef said this was the most expensive fried chicken he ever made as it was filled with matsutake mushrooms (peak of season right now) and glutinous rice. This was my favorite course! Scot did an excellent job consuming every last morsel of meat off the bone. We wish we had more! The fourth course was also quite special. 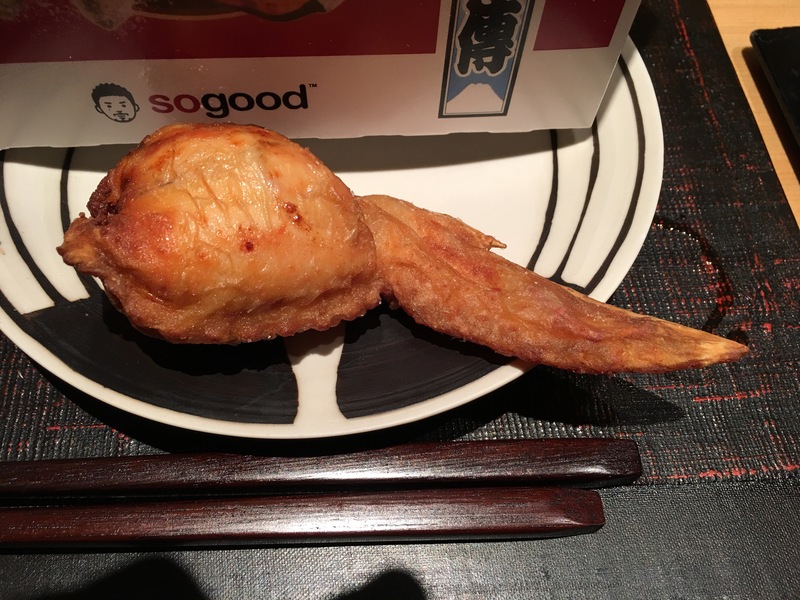 A rare whitefish similar to snapper/Tai was marinated for three days. 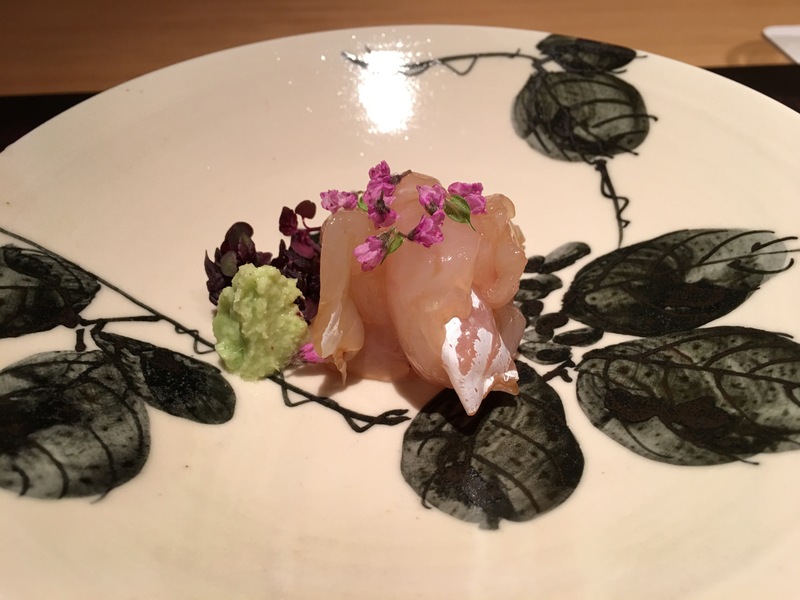 It achieved an incredible buttery richness in both flavor and texture.it was garnished with shiso sprouts and flowers. It reminded us of ika (squid). The fifth course was duck. No it wasn’t but we thought it was at first. I have never had pork prepared like this. So tender, but no, not sous vide. Just great slow cooking technique. Ok maybe this was our favorite course! Sixth course: Now this is a salad. Over 20 ingredients. Most sourced from their private garden. 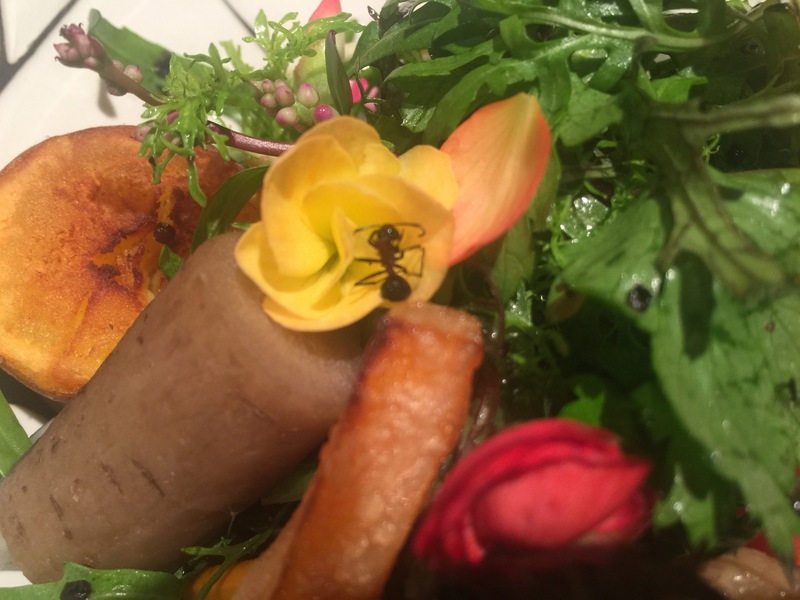 Each vegetable was individually and lovingly prepared, including a tomato marinated in vanilla, and an actual ant a la Pujol (Mexico City) style that was marinated and plumped with citrus flavor. 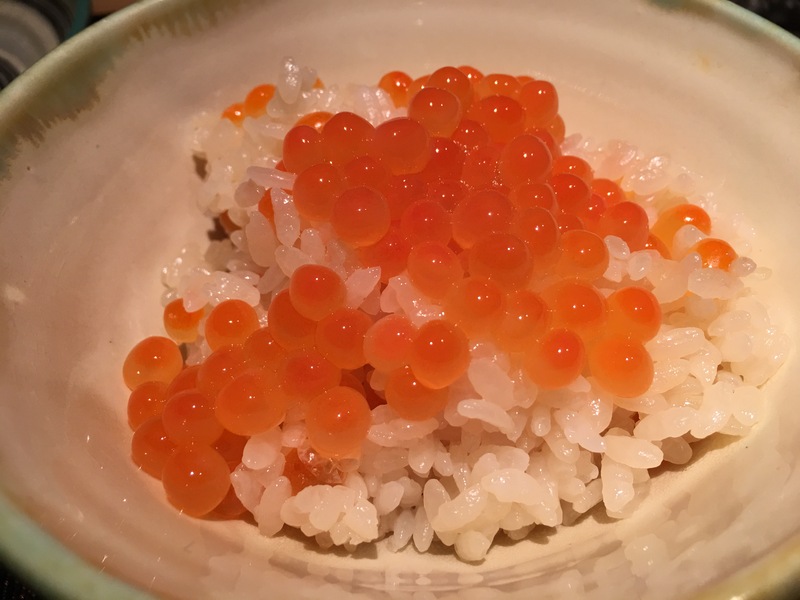 Seventh course: The ikura was prepared from scratch using dashi instead of shoyu, and it had a subtle smokiness that was positively addicting along with the dashi rice. There was also a careful and difficult blending of temperatures so both were neither too hot nor too cold. The red miso was so rich and flavorful it was almost like a beef stock. It brought a rustic element to the course that was addicting. Not pictured were homemade pickles that sealed the deal. We were invited to have seconds and thirds of this dish to ensure we got enough to eat! Dessert (courses 8 and 9) was super fun! 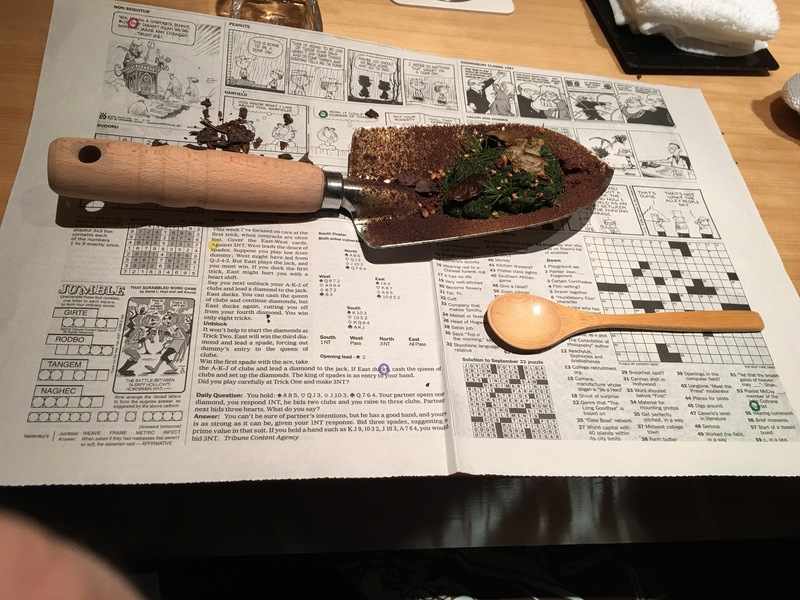 The “dirt” was a combination of ground and sweetened seeds and tea leaves (used in tea served later) and cream cheesy custardy pudding. 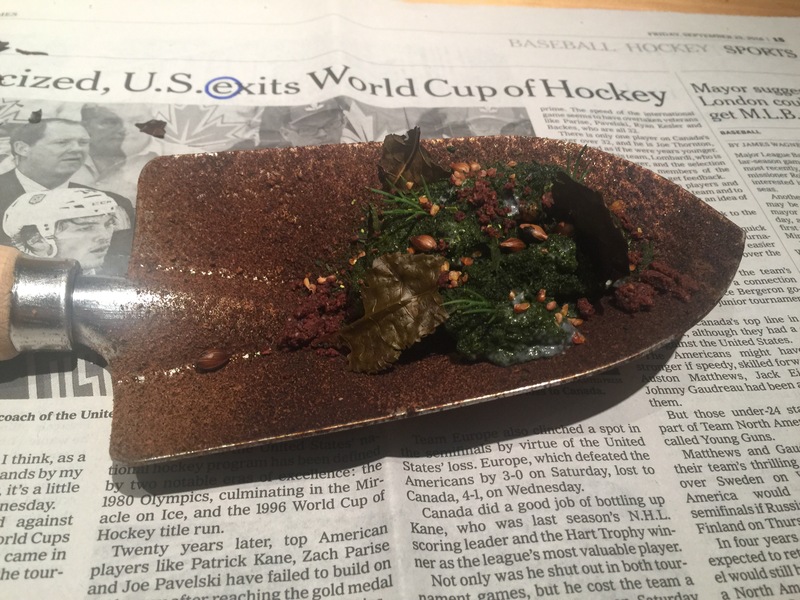 This was not typical soil done with maltodextrin and oil like you get in molecular gastronomy restaurants. 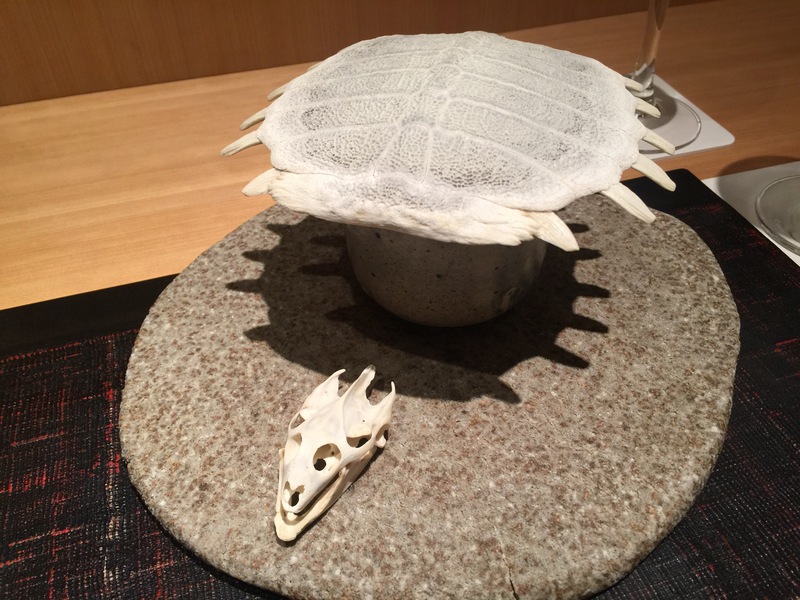 I have been to some of the best 3star Michelins in Tokyo including Narisawa, Takazawa, Nihon Ryugin, and more. But if I could only return to one, i would choose Den without reservation. (Well, actually with a reservation now that I am connected.) I should also mention that the base price is only $140 which is low for an experience of this quality. 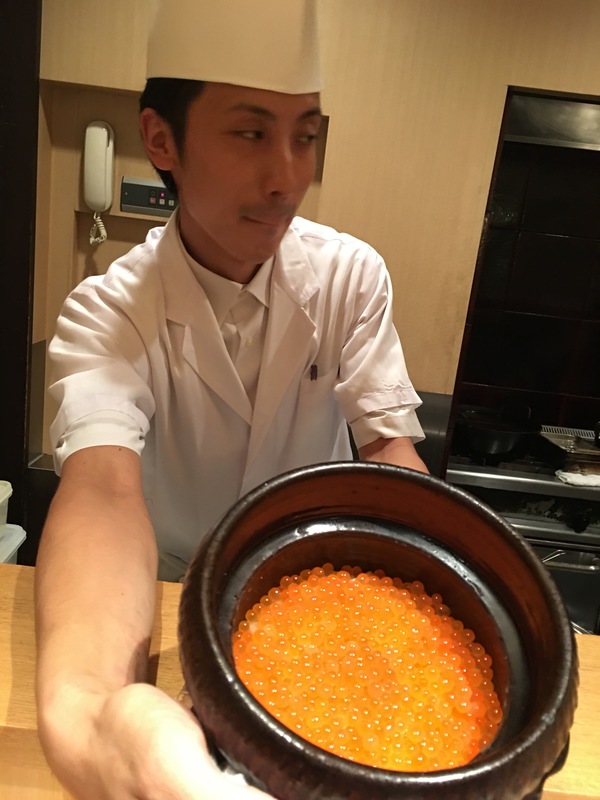 With the addition of the sake and the beer and the unlimited refills of the rice and ikura– the total still came to only $400 for two including service.